Drug Story Theater has performed for over 30,000 audience members in Massachusetts. 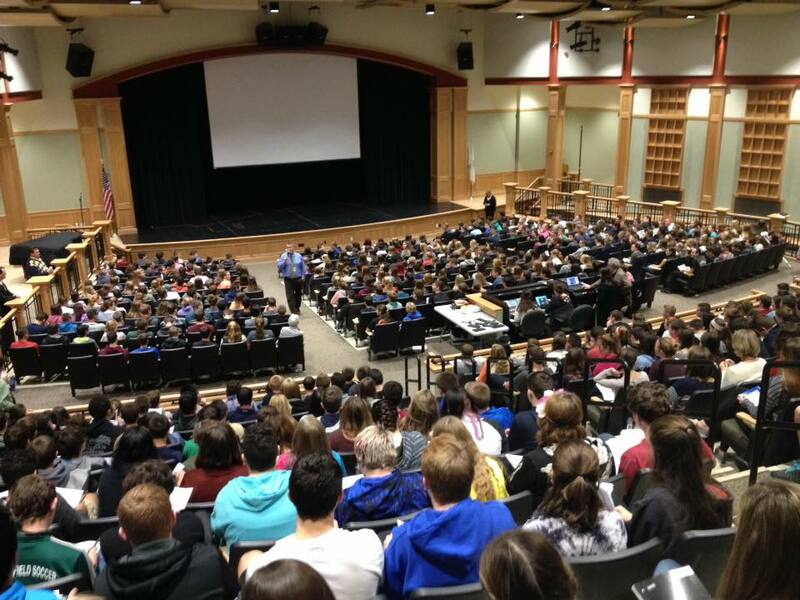 We have done shows for Middle and High school audiences in Plymouth, Norfolk, Suffolk, Bristol, Worcester, Middlesex and Barnstable Counties, and we are looking to expand to every corner of the Commonwealth! Shows are performed in-house at the middle and high schools, as well as at off-site, "field trip-style" locations like New Bedford's Ziterion Theater or DA Joseph Early's Annual Wellness Conference at Anna Maria College. Schools must have a stage and a projector/screen. DST provides its own sound system. The standard cost for a DST show is $3,000, although if additional travel is required, that price could change. DST will work with each school's appointed contact person to ensure a seamless and smooth performance, and will offer advice on how to fund shows should there be a need. "My students were thoroughly impressed with the performers' willingness to share their stories. They were also shocked to hear the ages at which these girls became users." "The students could not believe how young the students were that presented. It was eye-opening to them." "My students were shocked by the ages of some of the performers." "I had the students write a reflection and the overall reaction was positive. They were amazed that the girls were so young." "The students admired the courage it took the kids on stage to do what they did."